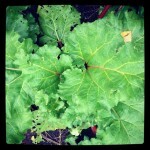 Sparkling Rhubarb – explosions of flavour.. Drink all the bubbly you want! Give it to the kids! Down a glass for breakfast! Go on, get silly! (conditions apply, read more..) Read more. Say it with food! Nothing shows how well you know and love someone like a spread of flavours that they actually like! Custom-made, Ready-made, birthdays, congratulations, or a Gift-basket just for a nice surprise.. Read more. Perfect, easy winter warmer, our best hearty vegetarian option! -ginger, chilli, garlic, turmeric, garam marsala, mustard, palm sugar, it may just be as good as it sounds! Read more. ‘food’ is a simple word. We learnt from this! When social food expectations get in the road of the real food moment! It can happen, we were victims, but the simple surprise of the fresh Fennel bulb saved us! Read more. We made our favorite cake and posted a picture on our Facebook page. 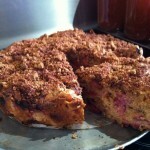 That FB response let us know that more people love rhubab than we knew, so, heres our favorite rhubarb recipe ever! See the original comments – www.facebook.com/ourhumblehouse Read more. Our first post! Too wet today to do nought but make our favorite ONION JAM! “I understand the big food companies are developing a tearless onion. I think they can do it – after all, they’ve already given us tasteless bread.” – Robert Orben Read more.